Situated amidst the rugged Aravallis, Dungarpur is an age old city of Rajasthan whose origins can be traced back to 4000 B.C. The descendants of the Rajputs of Mewar had settled in Dungarpur and ruled the state. The place with its ancient forts and palatial mansions recall the grandeur and splendor of yesteryears. If you are planning a royal retreat then plan a stay in the Heritage Hotels in Dungarpur. The Heritage Hotels in Dungarpur offers the tourists luxury and comfort wrapped in elegance and grandeur. The heritage hotels in Dungarpur reflect the royal lifestyle of the Rajputs. In India just before the independence the kings had lost their royal titles and used to get an annual pension in return of that. It was difficult for them to maintain their palatial mansions and lavish forts so many of them refurbished into Heritage Hotels. India from a long time was ruled by the kings and Maharajas who had their respective kingdoms. Later on after abolition of the royal titles, the rulers were forced to sacrifice their royal lifestyle and many of them had to sell off their palatial mansions and a few turned them into heritage hotels. The magnificent and royal heritage hotels in Dungarpur depict the glorious past of Rajput history. These palatial mansions have stored in their walls the gory details of bloodsheds, heroism, sacrifice and romance. From ages these had been the residential palaces of kings, queens and knights which now provide the best of comfort and services to guests from all over the world. Enjoy the classic charm of your royal retreat in the heritage hotels in Dungarpur. 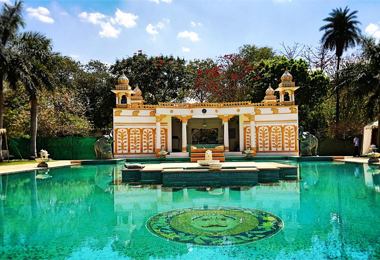 From the well furnished rooms with the royal interiors to the lavish antique furniture, chandeliers, photographs and anecdotes to the royal luxury and comfort, the heritage hotels in Dungarpur are the comfort hub of tourists.